Great! Currently using for travel, but when he outgrows baby bath will be a regular use item. Look forward to offering decent depth baths with less water! I was able to section the bath off to what I desired for my little girl, saving around half of the bath water I would have usually put in and time taken to fill the bath up. My little girl really loved it, her bath toys didn’t float away and she did quite enjoy chucking them over the Dam thinking it was a little game. I cannot recommend this product enough to other parents, it has literally changed our bath times, even better for those who’s curious little children keep going near the taps, this has managed to keep my little lady away from them. Been using for while, very happy with product. A BabyDam is a bath essential. Who hates waiting 20 mins for a bath to fill up with water you’ll waste? <– this gal. We’re all about parent hacks and this is the original and best 🙂 p.s just to add: your customer support when it ‘wouldn’t fit’ were amazing, and didn’t laugh at all at how I was trying to fit it! I love this item, I’m now planning on buying it for several of my friend’s children. We have been using the bath dam for about 3 years now and think it’s fantastic! We must have saved so much money!! We still use it with 2 little monkeys in the bath. If you had twins or kids who argue about who’s part of the bath is who’s like I know my sister and I used to this would work great to section it off that way they each get their own deep side. And if you have an older toddler like my little mister they’ll probably also have a ball of a time trying to transfer all the water from the one side to the other! This is absolutely fantastic! I must admit I was skeptical before hand but I was wrong to be! My bath is a weird shape P bath and it fits perfectly it saves me about 20 minutes by not filling up the full bath. It is easy to fit in and well worth the money. I have never seen one of these before, so I’m over the moon with it & it saves so much water too. The amount of water we would have filled into the bath, means that this little item will pay for itself so quickly” “Not only money/water saving , but having that smaller area for my little one to be in makes me feel more comfortable too. It might sound like another baby ‘gimmick’ but trust me on this one. The BabyDam doesn’t just save water, it also cuts down on the time it takes to run a bath (crucial with a screeching baby) and also means that when a) G is sick all over himself and b) we don’t have a full tank of hot water, he can still have a nice warm bath. Plus, I reckon it’ll save us about £250… it’s a win-win. Daily bathing routine now possible after the heavy rains in Cape Town bringing us back to 75% dam levels. Also, having the new gadget BabyDam makes us save even more water. In my opinion this should belong in every household that has kids who have gotten too big for their baby baths. Our one has been happily accepted by the kids allowing us to have a joyful bath time while still being water conscious. We bought the Baby Dam at the Baby Show at the NEC. 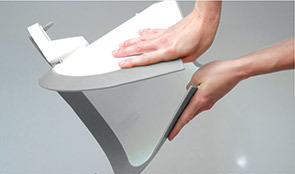 The photo illustrates how it works well in a P-Shaped bath. Our Baby Alex can now enjoy baths without it taking ages to fill and wasting huge amounts of water in our large bath. 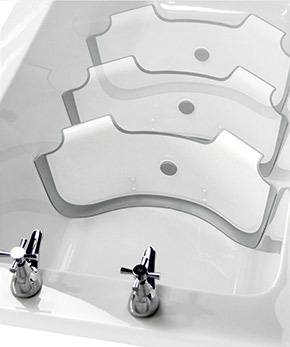 Perfect, very easy to install, fit well in our bath. It is now so quick to fill the bath. Very easy to install, fit well in my bath. I use it for my 7 months baby girl. We purchased your BabyDam at the baby show on Saturday and we LOVE it. It works perfectly and makes bath time even more enjoyable. I will be spreading the word. Saves water and very easy to store around the house. The supersnug changing mat has been invaluable for my refluxy baby who hated nappy changes, the baby dam also saves so much time which is so helpful when your partner is away half the time and your baby is not the most patient! Your items are pure quality and now essentials for us! We have noticed how much water we are saving and it cuts the time to prepare the water down to 2 mins. No problems fitting and my bath is not a standard shape. We have been using our Dam since my little girl was a few months old; and i would consider it an essential baby item. It’s environmentally friendly; it saves water (and will save parents money especially on a water metre). 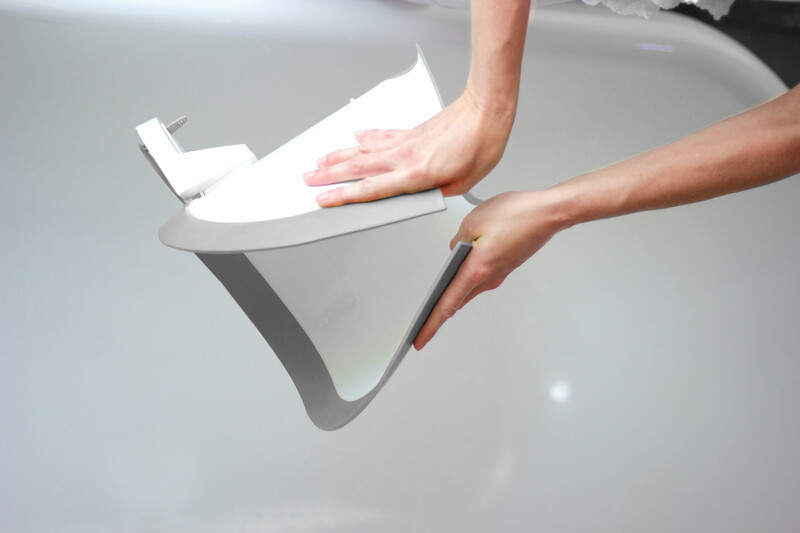 You don’t have to buy a bath as it creates a smaller ‘tub’ which is quicker to fill up (I don’t know many mamas who like waiting for their bath to fill up with a screaming toddler who wants to play with bubbles). 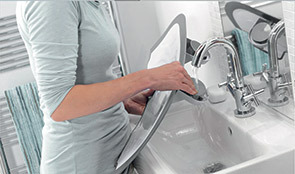 I love the baby dam, we use it every day and have bought it for or recommended it to many friends!! Very clever design! Extremely practical, especially when you don’t have much space to keep all your baby bath equipment. The Baby Dam is such a great concept, and I have since been raving about it to all of my friends with littlies. We have found two big advantages to this: we use far less water these days; and the bab can grab her toys without them disappearing off to the other end of the bathtub. So glad we purchased the BabyDam!!!! As my baby grew out of the infant tub in the sink and into the “big bath” bathtime became dreadful. Not enough water unless i wanted to fill the whole tub, which was too big a space to keep her safe. she hated taking a bath. Enter the BabyDam! With the first use, my baby was calm, happy to play with her bath toys, and actually enjoying her bath! It was a like a miracle! 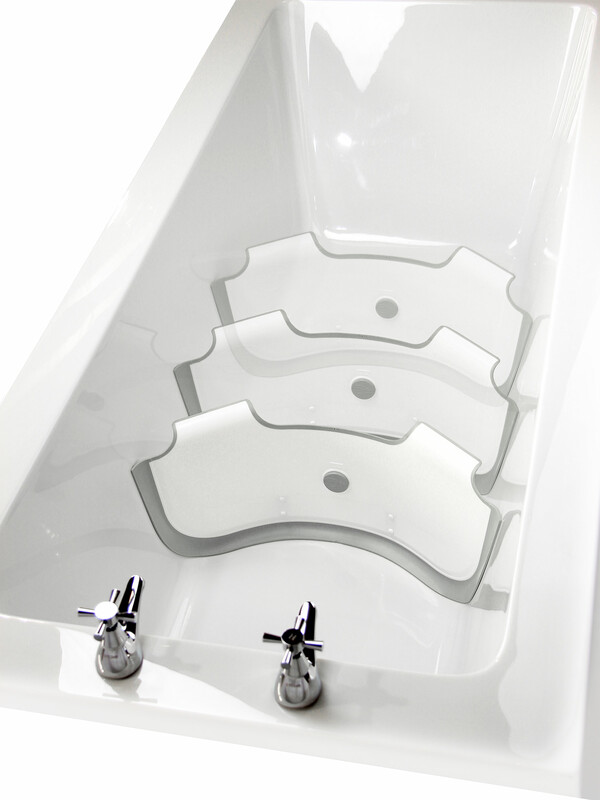 the BabyDam allows me to draw a deeper bath in a smaller area of the tub so that my baby feels secure. I love that I can adjust the space as she grows. We will be using the BabyDam for a long, long time! Very useful. Good for environment and saves time on filling up the bath. My daughter had her first bath with the BabyDam and we love it. Previously, I had been bathing her in a laundry basket in our tub after she outgrew the infant bathtub. She hated taking a bath. Tonight was the first time she has sat and enjoyed her bath time without screaming or crying to get out of the tub. The BabyDam allowed me to run a deeper bath (helpful to keep the ducks afloat!) and the smaller space made my daughter feel more secure, I had been waiting for this product for a long time, and I’m so happy to finally have it. 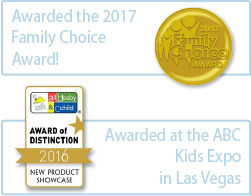 Great product, we use our babydam every day, the baby loves it and we save time and lots of water. A great product to divide the bath in two meaning that my baby can have a decent amount of water in the bath to splash around in without us having to waste water filling up the whole bath. It’s easy to fix into place and doesn’t move once it is fixed. We’ve found this to be one of the most useful non-essential baby products we purchased.